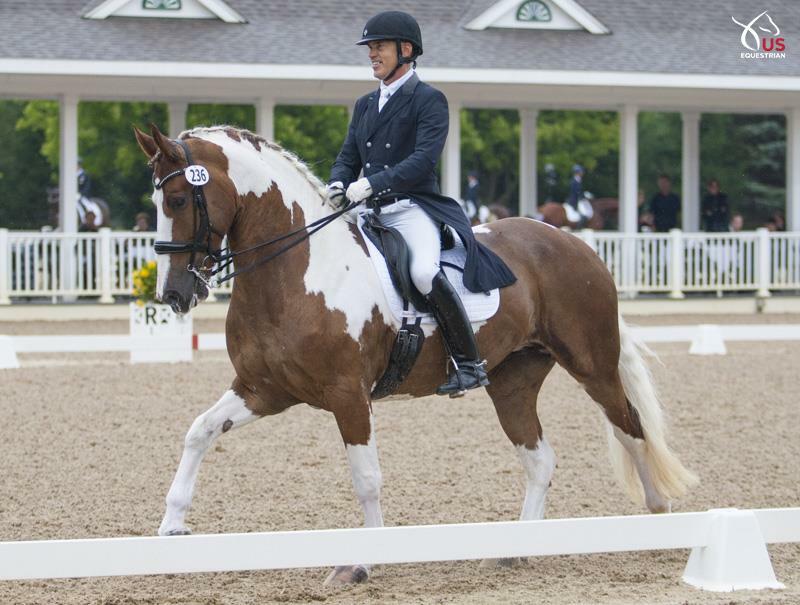 Dressage can be the key to a new language and partnership between any horse and rider, Koford says—and it’s a lot of fun, too. Adiah HP just loves to dance. That’s how her trainer and rider Jim Koford puts it. “It’s physical, and it’s exciting, and you have to stay on your game!” Koford said of partnering Adiah in the dressage ring. 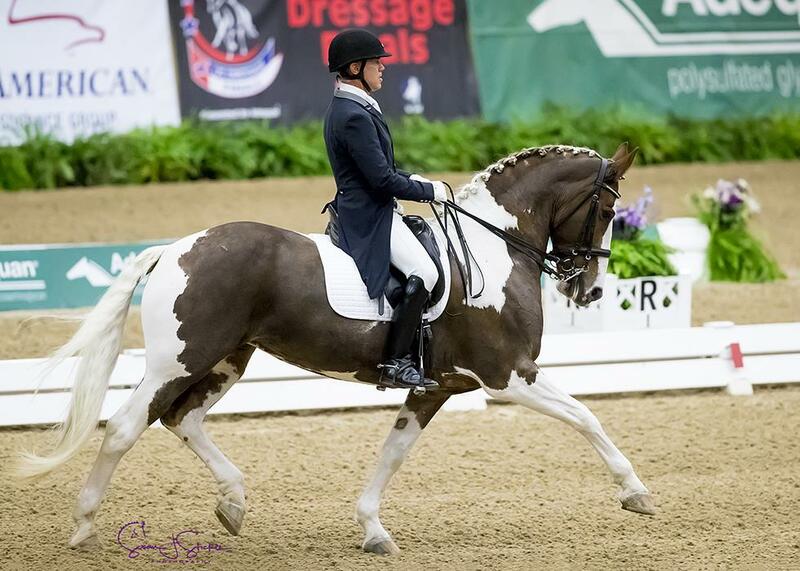 Adiah HP and Jim Koford during their Grand Prix Open freestyle championship ride at US Dressage Finals earlier this month. Photo by SusanJStickle.com. Their joy in performing is obvious—you can watch their winning performance in the Grand Prix Open Freestyle championship at the US Dressage Finals presented by Adequan® here—and, Koford says, dressage can bring that kind of fun to any horse and rider combination. That path might lead to the dressage ring or it might lead somewhere else. Koford’s philosophy: embrace the journey and celebrate the diversity. Whether you’ve got a palomino Shetland pony, a black Morgan, or a pinto Friesian-cross, Koford’s advice is to try taking them dancing. Adiah, Koford’s partner at US Dressage Finals, is cut from somewhat unusual cloth. She’s three-quarters Friesian and one-quarter Dutch Warmblood, but, as Koford explains, this wasn’t a random cross. Adiah’s sire, Nico, was a black-and-white half Friesian and half Dutch Warmblood. Koella and her husband Jon bought Nico from Harry Witteveen in Ontario, Canada, and bred Adiah from their Friesian mare Marije Ant. Tragically, Nico died in 2010 in a barn fire at Sherry and Jon Koella’s boutique Hidden Promise breeding farm in Tennessee. The fire killed five horses and destroyed two barns in the early morning of Christmas Day, but Adiah—then a 3-year-old—and a few others survived because she had been in her pasture overnight. Koford, who had worked with Nico for the Koellas, started riding Adiah about 18 months ago. Koford said that his approach with Adiah was “to cultivate her enthusiasm,” and to do that he took an unusual path. “It’s really fun to … explore, cultivate what they have, and let it blossom,” says Koford, shown here with Rhett in 2016. Photo by Shannon Brinkman. That, rather than riding the perfect corner or worrying over a sloppy transition or a wavering lines, became Koford’s priority with Adiah in 2017. It was an unusual approach, but it paid off in the freestyle at US Dressage Finals. So how did he steel his nerves? “This is sort of embarrassing, but I guess everyone has their own way of dealing with competition nerves,” Koford said. “We did a cowboy-themed freestyle, so I put on a sheriff’s badge and a bolo tie underneath my tie, and I thought, ‘All right. Now I’m performing. I got into character, and then, instead of being afraid of the judges, I was like, ‘Look at this! Is this not the coolest horse ever?’ It was just like an exhibition. And it took any competition stress away, and there I was, on the funniest, happiest horse, and isn’t she fun? Thinking creatively like this is vintage Koford, and there’s a serious philosophy behind it. Koford encourages horse owners of all disciplines, and regardless of their horse’s breed, to consider trying a little dressage to see what potential it might unlock. “This one told me she wanted to be famous,” Koford said of Adiah HP. Photo by Taylor Pence. “I’m sort of a blue-collar trainer, and I’m always coloring outside the lines,” he said. “I have an eclectic group of horses in my barn, and I just enjoy their personalities. It’s amazing the hidden talents the different breeds have. Just because your horse isn’t suited for the FEI Young Horse classes in no way limits their potential to be a Grand Prix horse. I love tinkering with the horses and seeing if we can do Grand Prix on them. 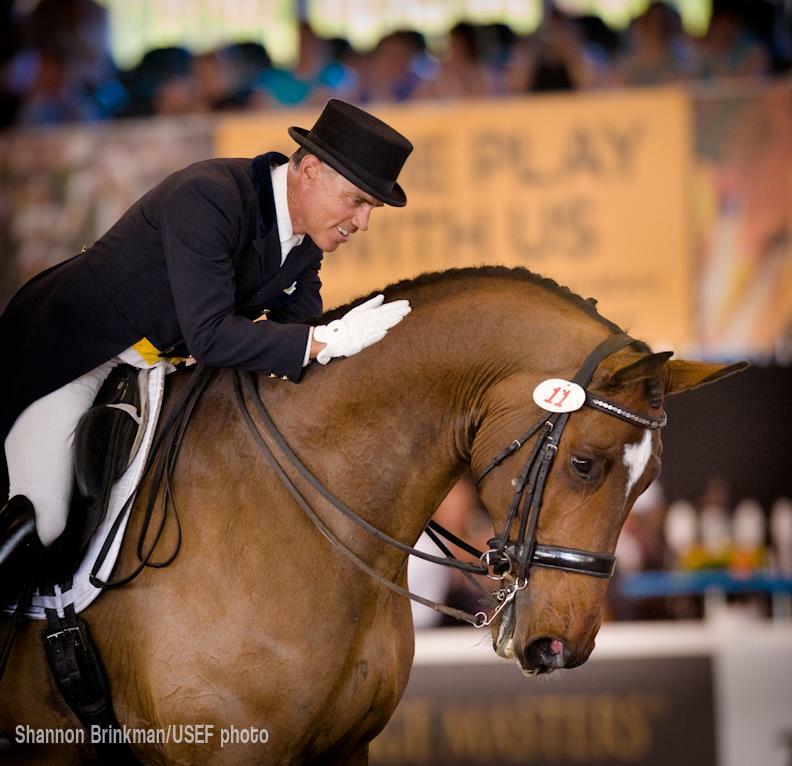 To learn more about the sport of dressage, visit the United States Dressage Federation and US Equestrian’s dressage page. To learn more about Friesians, visit the International Friesian Show Horse Association, US Equestrian’s Friesian page, and our free Learning Center video about US Equestrian’s 29 affiliated breeds and disciplines.